It may only be June 14 but we are happily ensconced in summertime around here! 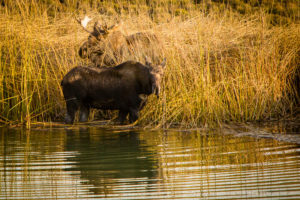 I finally spotted the elusive Snowmass Village moose and her babies last night – what a treat to see them galloping across the greens on their way to the golf course pond. 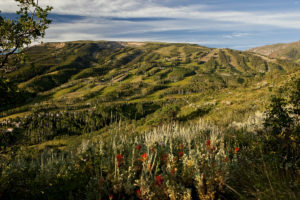 A few familiar faces have already arrived in Snowmass for the summer and were somewhat surprised by our beautiful June weather – not the usual cool with bouts of rain, but rather temps in the 80’s, a rainbow of wild flowers, and abundant blue skies. 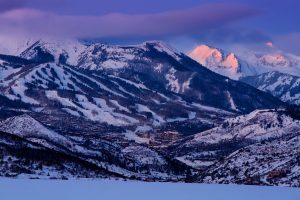 If you are reading this from parts unknown, we look forward to welcoming you back to Snowmass Chapel soon! 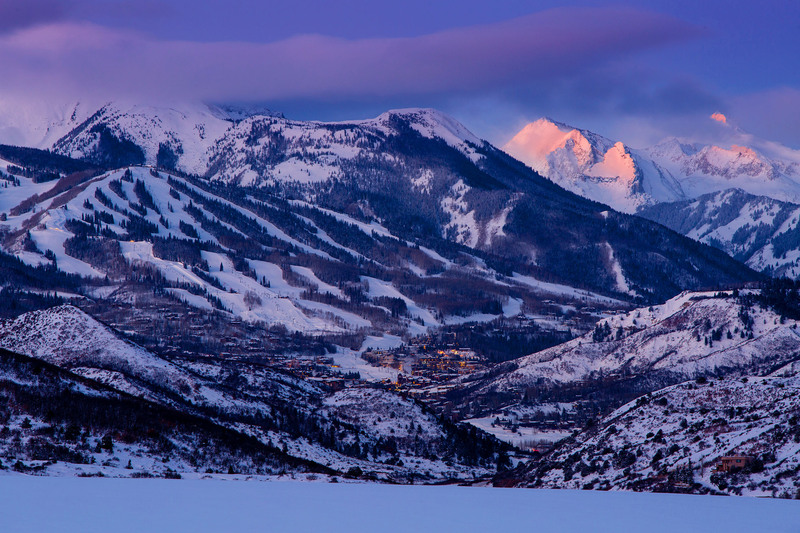 Your mountains are calling…. 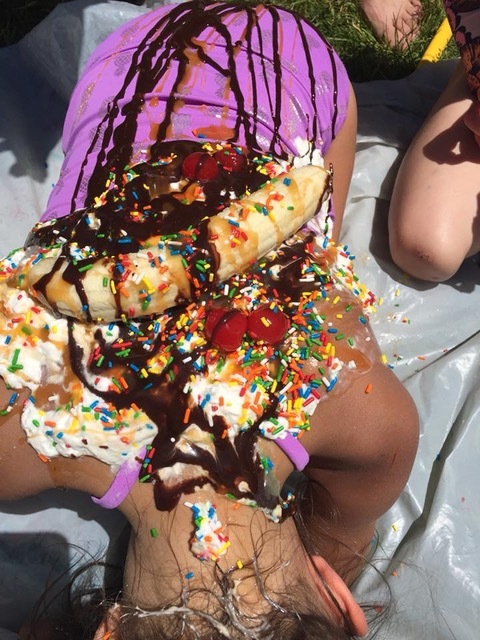 Camp SMashBox began this week and with it the joyful shouts and songs of kids (human ice cream sundaes, anyone?). This is our 7th season of Camp SMashBox at Snowmass Chapel and this summer we will welcome 400+ young campers throughout the five weeks of camp. And – this is HUGE – our very own Jenna (who started with us as a high school counselor 7 years ago) is opening a Camp SMashBox in Grand Junction in July! Now if that isn’t a ministry based on Christ’s love, I don’t know what is. So we have taken to the backyard here at Snowmass Chapel, and will mightily endeavor to give kids an experience of the awesome love of God. Served with a heaping pile of chocolate sauce. Which I think is just SMarvelous. If you were with us last week at Snowmass Chapel you know that we had a special performance immediately after the worship service. 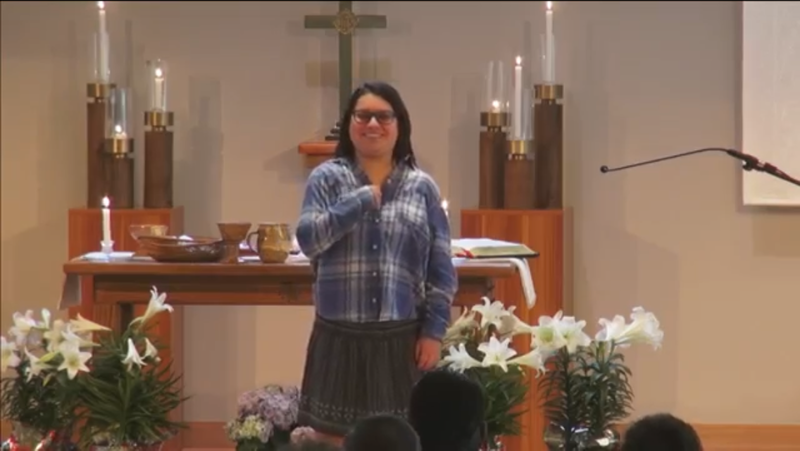 One of our young parishioners, Emily Garcia, is home for a brief visit from the school she attends for students with special needs, and she shared a message with us using sign language and set to the incredible song, “This is Me.”* The song’s lyrics are a powerful reminder that every single one of us is EXACTLY who we are meant to be. If you could have all seen Emily up on that chancel last week – oh my stars you’d have been proud. Like, weepy-smiley-jump-to-your-feet proud. When Emily finished, the congregation erupted in a standing ovation. YOU ALL STOOD UP for one of our own like nobody’s business and made me so proud. Love God, love people – it’s what we do. I am who I’m meant to be, this is me. Truer words don’t exist my friends. We have all been subjected to sharp, cutting words that are meant to hurt us. But we cannot be defined by that. Don’t you think for one SECOND that someone else has the power to define who you are with ugliness. In our schools around this country, one in four students report being bullied. Students with disabilities – like Emily who has high functioning autism and epilepsy – are two to three times more likely to be bullied than their non-disabled peers. Just to be clear in case you missed the point: those who need our support and compassion THE MOST are the ones being teased, tormented and bullied. What in the world has gotten into us? Emily admits she is not perfect. Because of her diagnosis and learning style, she had to learn many of these lessons the hard way but adds that her school (a private residential program out of state) taught her “how to make friends in a polite, appropriate manner, and I learned boundaries.” In other words, she is learning how to stick up for herself as well as others. Emily thinks these are things ALL schools should spend more time teaching. Amen to that, sister! Emily, serious and focused throughout the song as she performed on Sunday, finally relaxed at the very end, threw in a little dance hop for good measure, and literally beamed at the crowd. Just: be still my heart. I had the chance to catch up with Emily this week and this feisty, articulate young lady (who, by the way, gives AMAZING HUGS), is the definition of grace and love. I’d be honored if you scroll down and read her beautiful words shared with me during our conversation. Then do yourself a favor and watch the moment the cast and crew of The Greatest Showman knew their anthem song, “This is Me,” was destined to be something special. 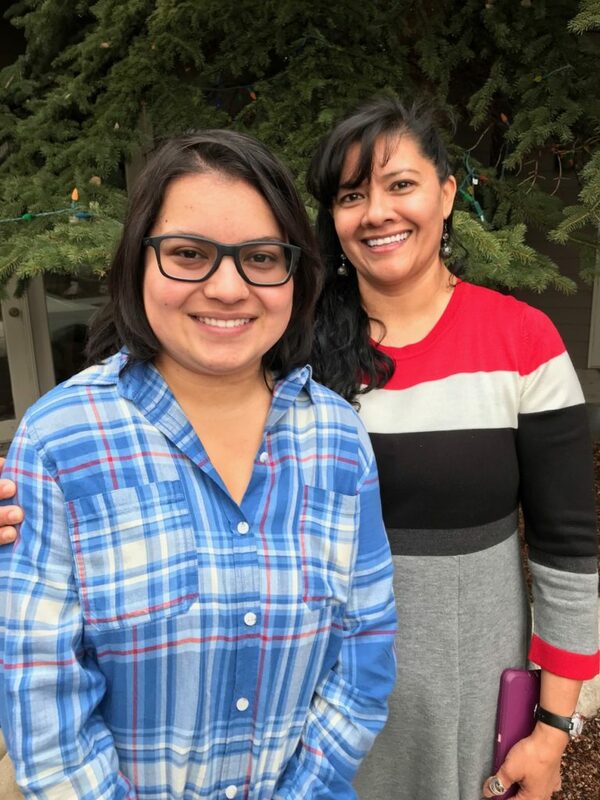 I first met Emily when she and her mom, Cecilia, attended a Mother-Daughter retreat hosted by Snowmass Chapel in 2012. Her smile is huge and her heart even bigger. I found her honesty and directness refreshing, though it’s easy to see how some peers might have been overwhelmed by her at times. People with autism don’t have all the social cues all of the time, let’s just say. As we stood in line for customs in the Port-au-Prince airport it was fairly obvious we weren’t the only Americans who’d come to Haiti with some sort of volunteer group. In a country that is 95% African American, I was peering into a sea of white faces waiting to have passports stamped. Most groups were clad in matching t-shirts emblazoned with things like “Hope for Haiti” or “Make disciples of all nations” or “I Heart Haiti.” Clearly we missed the memo; our precious group wore matching elephant pants. 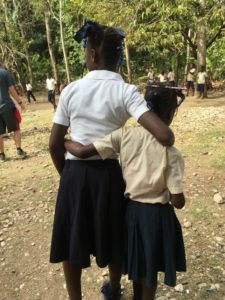 There are so many organizations doing great work in Haiti but after just two days in country I began to ask myself, “why?” As I looked around I saw a nation of people who are among the most resilient, resourceful, joy-filled I have seen. It’s true their poverty level boggles the mind, but to say they are in despair is a gross overstatement and not at all the impression I took away. Haitians are hard-working, hustlers, creative, persistent, enterprising, and I gotta be completely honest here, very easy on the eyes (I mean, I may have been the “chaperone” but I’m not blind, people!). 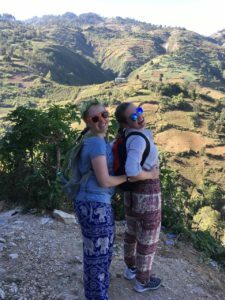 The Aspen for Haiti club, which started at Aspen High School four years ago and is sponsored by Snowmass Chapel, exists to learn more about the Haitian culture and its history and people. To the extent we can help by bringing down school supplies, books in French or Creole, and fund projects like solar powered lights, we do. But our lead host, longtime valley resident Tim Myers, is adamant that the Haiti I observed – the resilient, clever, hard-working Haiti — is real, and its people are entirely capable of handling the work that needs to be done. Our job, he told us, is to gain a new perspective and just maybe a deeper appreciation of the world’s diversity. Done. Hailing from a country such as ours, where we often hustle past people head down, talking on the phone, bumping shoulders with strangers without so much as a nod, I am struck by the sense of community among the Haitians. There is a genuine joy when they greet one another, and an immediate, no-questions-asked attitude of helpfulness toward all. Haiti defies our western every-man-for-himself mentality. How many times did we see a truck stalled on a Haitian roadway, or a moto-bike in need of repair, in which no fewer than four people stopped everything to help. At every restaurant or shop we visited employees worked in groups, never alone. In the small remote villages school children grabbed our hands and danced with us and sat on our laps – not because they were desperate for our help as my ego previously assumed, but simply because grabbing a hand, sharing a dance and sitting on laps is who they are and how they live. And what a joyful way of living it is! Haitians are deserving of our friendship, our tourism, our understanding and compassion, and yes, at times, our help. There are, indeed, opportunities for the US and others to serve, especially since Haiti lacks basic infrastructure, a military, and a government that gives a damn. I can tell you that after spending time with the Haitian people, I would be there in a heartbeat if they needed me. Why? Because I know beyond a shadow of a doubt they would drop everything and do the same for me. Loving your neighbor isn’t something they bother to print on a t-shirt. It’s a way of life. Now. Who wants to dance? 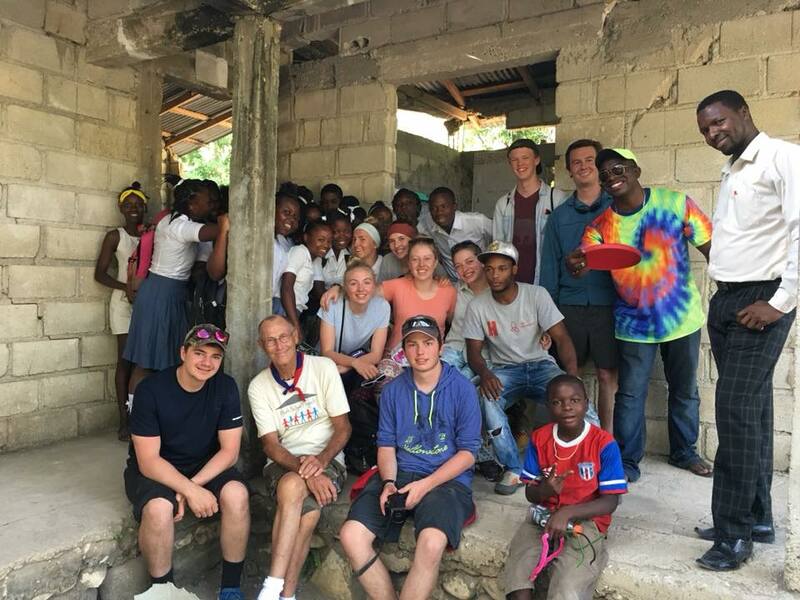 The Aspen For Haiti club members with secondary students and their principal, far right, in Jean Jean Village. Tim Myers is front, center. Words are powerful stuff as we all know. And I’ve learned a helpful new bit of information — sometimes they don’t scrub off. Last weekend at our Fall Family Retreat we had all the participants write a word on their right hand that describes how they show up in the world; one word that best sums them up. On the left hand, participants were then asked to write a word that describes who they want to be, or a characteristic they want to improve upon. 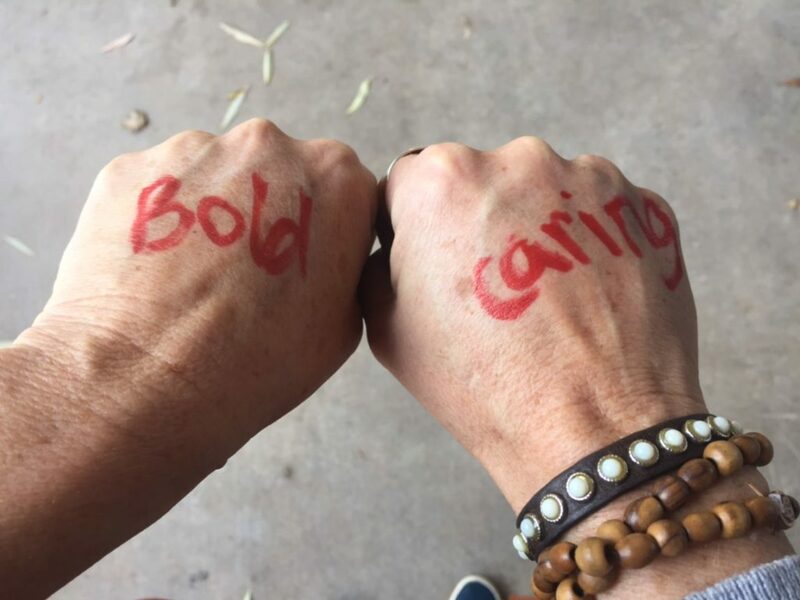 As one of the facilitators, I joined in and wrote “Caring” on one of my hands, and “Bold” on the other (I’ll leave you to guess which word went with which hand!). Later that night, I noticed the red Sharpie ink was difficult to get off my skin but it was late on a Sunday evening and I wasn’t about to argue with the pillow, so I headed to bed. Imagine my surprise when I looked in the mirror the next morning and had the words “Caring” and “Bold” tattooed on my CHEEKS! Apparently I have a habit of sleeping on my side, one hand under my cheek. Precious, I know. What isn’t always precious is the words we use to describe ourselves. How many of us would actually want to broadcast to the world the way we think of ourselves sometimes? Today, for instance, my words might be “Old” and “Insecure.” Not sure I’d want to wake up to THAT in the mirror tomorrow morning! Nevertheless, I kind of like the idea of people walking around with their words emblazoned on their cheeks this way. “Strong,” “Disciplined,” “Centered,” “Zany,” “Laid-Back,” “Reliable,” “Hot Mess.” Ok, that last one was two words, but imagine the instant camaraderie, favor, and grace that it would elicit from others if you just owned it: You’d be like, “My left cheek says I am rockin’ the chaos in my life right now, but not to worry, my right cheek says Imma be centered soon.” It’s a beautiful balance that is honest, raw, and real. Just like life. One word speaks the truth about the way we show up in the world. The other offers hope for transformation and change. Be gracious with the words you place on yourselves and others, my friends. 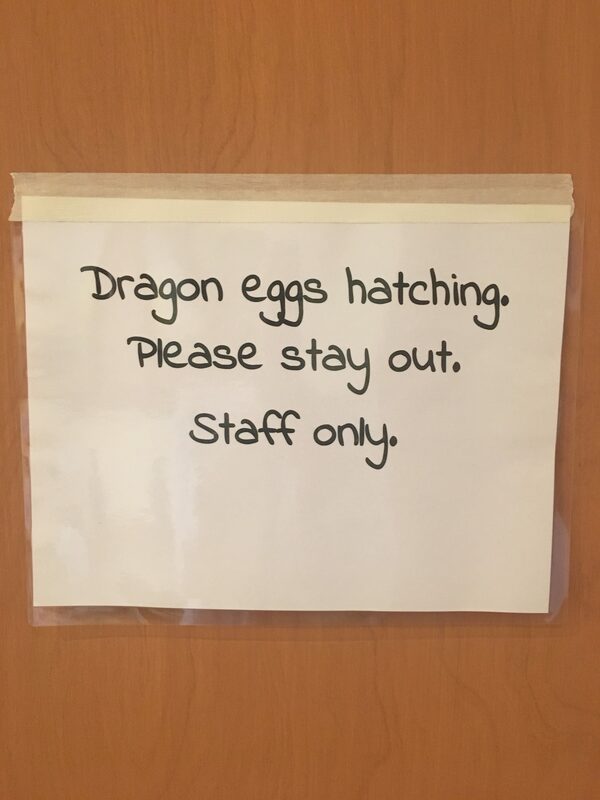 They can be very hard to scrub off. People ask me all the time in which denomination I will be ordained. With seminary complete and full-time ministry on the horizon, it seems more urgent for everyone from my aunt to the lady at the grocery store to know what group I will belong to. Isn’t that just like humans, to need to categorize people into tidy little boxes? But I’ve been Christian long enough to know we are anything but tidy. 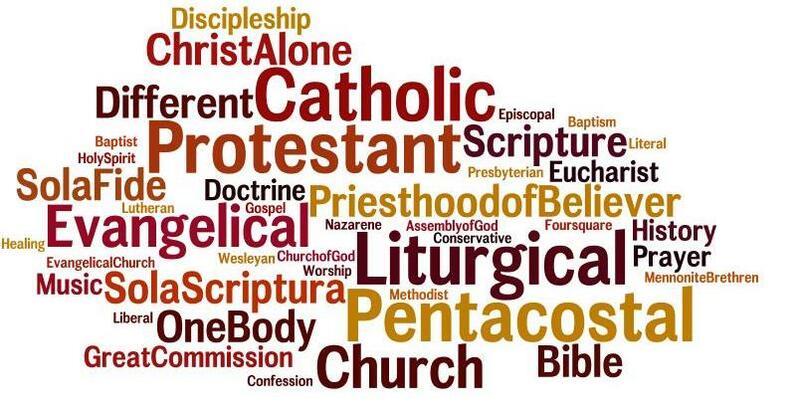 In churches around the globe people of all denominations profess that we believe in “one holy catholic and apostolic church.” But catholicity (or unity) does not require uniformity. An Episcopal church and a Pentecostal church, for example, look noticeably different in their Sunday worship but last I checked their Jesus is one and the same. Paul wrote in 1 Corinthians that Christianity is one body made up of many parts. Many, MANY parts. Parts that are scattered from Tanzania to Tasmania to Texas. Yet the same Spirit moves in our worship whether to the beat of a tribal drum or the rhythm of a gospel choir. We read the same Bible, follow the same Jesus and profess the same Lord of all, do we not? Which is why, rather than taking a stand firmly in one camp or the other, on the occasion of my ordination I think I shall call myself a Bapti-Christi-Metho-lic. Raised Baptist, baptized Disciples of Christ, confirmed Roman Catholic, and graduate of a Methodist seminary, I get that my particular “brand” of Christianity can be hard to pin down. But I am the sum of all my parts: from my Baptist roots I learned all the books of the Bible, “What a Friend We Have in Jesus,” and know John 3:16 is more than a football stadium slogan. The First Christian Church (Disciples of Christ) gently anchored me through my parents’ divorce and the tumult of teen years. I was baptized in a pool there at age 13, my white robe clinging to a Speedo one-piece underneath, and the church will forever hold a special place in my heart. I then spent ten years in the Catholic Church, attending mass, teaching religious education, witnessing my brother-in law’s ordination to the priesthood, and baptizing my children there, until finally one day I decided I would rather focus on our similarities than on our differences and I officially joined the church. 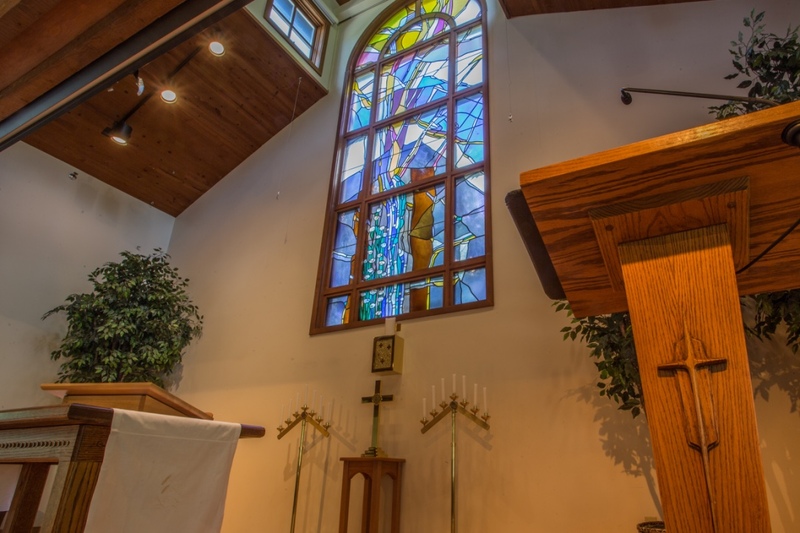 From my Catholic faith I learned our magnificent shared history, the gift of the sacraments, and a deep sense of connectedness to the very beginnings of Christianity. And then some 15 years later God called me to seminary and it just happened to be Methodist, where I fell in love with John Wesley and amazing grace. For nearly two millennia ministers have been being ordained. The Bible tells us that Jesus gave Peter authority to teach and lead the people of God. Later, in the Book of Acts, Paul appointed elders in the church, praying over them and committing them to service. To be ordained is to be anointed, appointed, installed, consecrated or conferred with holy orders, and it is a tradition as old as Christianity itself. I find it appropriate and humbling that this Bapti-Christi-Metho-lic will be ordained by the non-denominational congregation of Snowmass Chapel in the laying on of hands by Lutheran, Presbyterian, Methodist and Episcopal ministers who have gone before me, and one Rabbi for good measure! Confusing? Perhaps. Messy? Of course. But Jesus wasn’t one to stick to rules and religious orders either. It may not be a tidy little box but it’s BIG box, and there is most certainly room for all. I’m allergic to horses. And hay. And to the cats that roam the barns and the ragweed that blooms in green pastures, and even the dust kicked up by oh-so-handsome Wrangler-wearing cowboys. But, my goodness, horses are gorgeous creatures. 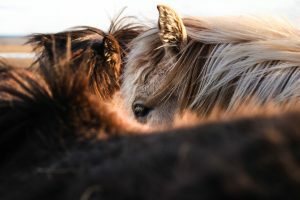 We in the Roaring Fork Valley are privileged to see the new foals each spring as we trudge up and down Highway 82 near Snowmass Canyon, and the herd at Owl Creek Ranch, and the gentle ponies ready for young riders at Cozy Point. But one of the most memorable might well be watching the herd run home after a Wednesday night rodeo in Snowmass. Recently I was out with friends and at the suggestion of one we spontaneously stood at the side of the road just in time to watch this weekly procession. It was dusk, the smell of fresh rain hung in the air, and the rodeo announcer could be heard on the loudspeaker bidding good night to the cowboy-clad visitors. We were perched on some rocks midway between the rodeo grounds and the pasture where the horses grace us with their presence all summer. Within minutes the herd barreled toward us, making their way from the roundabout up Brush Creek Road, past the Visitors Center and Town Park, and into the meadow at Horse Ranch. The galloping thunder was not unlike the thunder earlier in the evening — a slow rumble that grew in intensity and power as it passed us by, then dissipated into the night. Life offers us such moments. Moments that rumble through our lives leaving us entirely overwhelmed — sometimes with joy, sometimes with sadness — but which in the big picture are fleeting and eventually past. Like the horses, life’s events can absolutely shake the ground we stand on. And if we are truly present to the moment, on whatever side of the emotional spectrum it lies, we can acknowledge the Divine power and beauty of “even this.” There is something healing about standing in the eye of the storm. Perhaps this is what it means when God promises us peace that surpasses all understanding. The seasons of life are ephemeral. Consider the joys of watching a newborn turn toddler; the celebration of weddings, graduations, successes; the butterflies of first love. These beautiful moments are, sadly, short-lived, as are the agonizing and angst-filled times: the uncertainty of career or job security; the pain of loss and the deep grief of death; the hope for a future fading from view. Standing in the moment — in the eye of the storm — and being present to the very miracle of life unfolding, is where we meet God. Last week God happened to look like a gorgeous herd of galloping thunder. I stand in awe. An important marker in the lives of young people is the transition from child care or Sunday School to worship. This workshop will help prepare children and their parents for children’s full participation in the community of faith. We’ll go over different parts of the worship service and prepare young worshippers to participate and lead. All ages are welcome, though this is especially designed for those entering 6th grade and up. We are in full swing with 85 kids making joyful noises outside my window and the very best kind of kid chaos. But fun should not be confused with foolish. 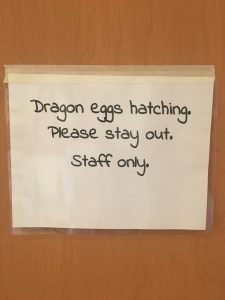 In order to keep everyone safe and happy there is definitely some structure and a few ground rules written in language all kids can understand. “Drink Water. Wear Sunscreen. 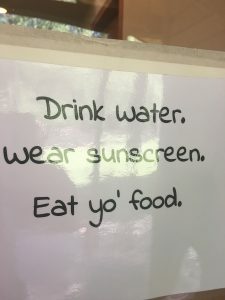 Eat Yo’ Food.” There is also a positive slant to everything – as in, provide information and tell them what to do not what to don’t: “Slippery when wet. Please dry off. Please walk.” Short, sweet, and as easy to follow as a yellow brick road. The Bible is also often difficult to understand with its list of obscure ancient laws, tricksters, prophetic dreams, and head-scratching parables. To keep me from sweating the small stuff I keep a scrap piece of paper in my Bible with the following quote: “Much of the Bible is confusing, but the most important parts are not.” Can I get an Amen? Jesus whittled it all the important parts down to this one: Love. When we can’t figure out what something means, or how we are supposed to behave, or why Jesus did what he did — just assume love is involved. Somehow, some way, Jesus is directing you to love regardless of Old Testament battles and randomly circumcised cities. The Message version of the Bible, which puts scripture into easy to understand language, reinterprets Romans 13:8 this way: Don’t run up debts, except for the huge debt of love you owe each other…The law code—don’t sleep with another person’s spouse, don’t take someone’s life, don’t take what isn’t yours, don’t always be wanting what you don’t have, and any other “don’t” you can think of—finally adds up to this: Love other people as well as you do yourself. You can’t go wrong when you love others. Now that is about as plain as it gets! Even a child would understand those simple ground rules, and I think, after all, that’s what God wants. For us to become like children so that we enjoy the silliness of our surroundings, laugh easily, and love well. We did it! We graduated from seminary, you and I. And don’t you dare say you didn’t do anything because that is FALSE. As I trudged my way through 1,800 hours of homework, more than 100 textbooks, and some 165 miscellaneous readings these past three years, of one thing I am certain: YOU WERE WITH ME. You offered your support, prayers, guest rooms. You asked hard questions that I promised to get back to you on, and offered insights of your own for me to ponder. You gave me tips on better preaching and your two-cents on whether I should wear a robe and a collar in the pulpit (sorry to disappoint). You built me up when I was tired and you cut me slack when my plate was so full things were tumbling from the edges. You were the very presence of Christ’s love and grace these past three years. At the worship service the day before commencement, each graduate was asked to bring an item that represented our journey and to place it on the altar. I put you there. Really! 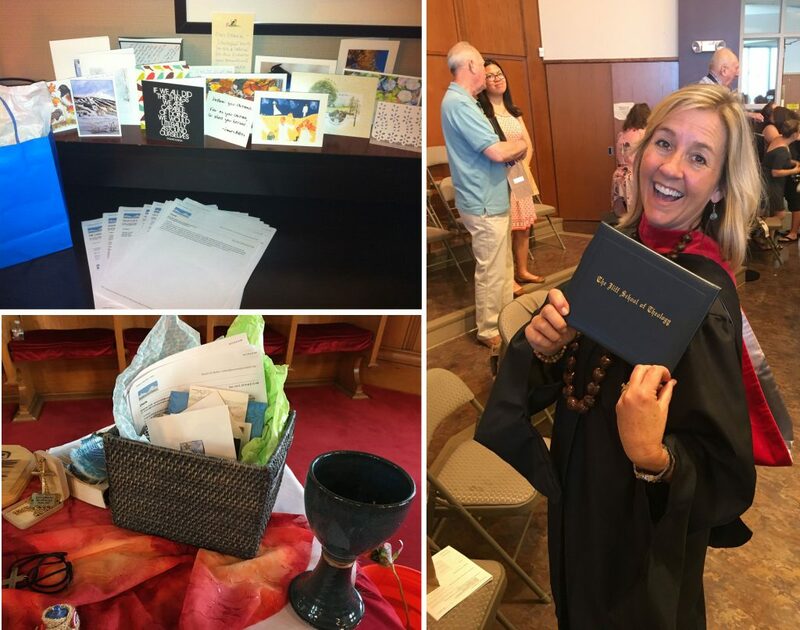 Three years ago, as I departed Snowmass for my first week of seminary classes and retreat time with my cohort at Iliff, Snowmass Chapel sent me off with a blessing and basketful of the sweetest cards, letters and emails. I took them with me to my room in Denver, read each one (which took some time and a few tears), and decorated my room with them for the week. It was a visible reminder to me that first week that I was there by the grace of God and the good people of Snowmass Chapel. It was only fitting that you make the journey with me one last time. I hope you liked the view from up front! I had some big losses last week — three in the span of seven days to be exact. Death is brutal, isn’t it? I know I am not alone in my grief, and I also know many of you have endured pain I can only imagine. My heart breaks for you. But in the midst of it all this past week, I saw the most beautiful signs of God at work; what one seminary friend calls “God-sightings.” God-sightings are everywhere. Some of us see God in the spring green of the Aspen buds just beginning to poke out of their winter snooze. Some see God in the kindness of friends. Some in the way the dawn light dresses the very tips of the mountain peaks. Some in a baby who finally sleeps through the night (can I get an Amen?). For me, the God-sightings last week were specific and speedy answers to prayer. If you’re anything like me (and I’m betting I’m not alone) you might find yourself saying to someone who is hurting, “I’ll pray for you.” I am always sincere in the moment and I would love to say I always remember but occasionally I find myself late into the night or the next day offering up an embarrassing, “God, you know there are people I’m supposed to be praying for. I’ve forgotten who but you never do. Please be with whoever it is that needs you.” I’m sure God has my back. At some point this dark week someone told me they envied my faith. I remarked that it comes with practice. The more we seek, the more we see, the more our faith grows. God-sightings are there for us if only we acknowledge them as they gift they are. Not coincidence, not luck, not right-place-right-time. But the grace of God at work in our lives, walking alongside us, and dropping everything to hear our inmost pleas. It was a difficult week, friends. But one thing I know for certain is that God was present and hard at work.